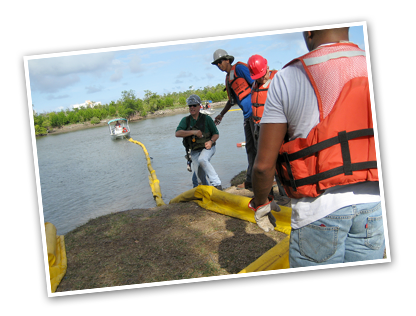 Clean Caribbean & Americas (CCA) and Oil Spill Response, Limited (OSRL) have recently merged to form a single global oil spill response organization (Oil Spill Response Limited) capable of responding to oil spills anywhere in the world. 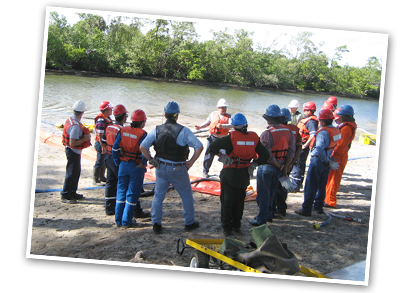 All former CCA employees and equipment remain in Fort Lauderdale as OSRL's Response Base for the Americas. 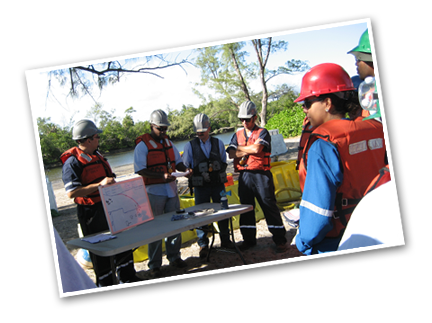 CCA will continue to support certain non-profit educational, preparedness and response capacity building activities in the Americas, such as MOBEX Cayenne 2013, and our website will continue to serve as a clearinghouse for operational and technical issues relating to oil spill response. 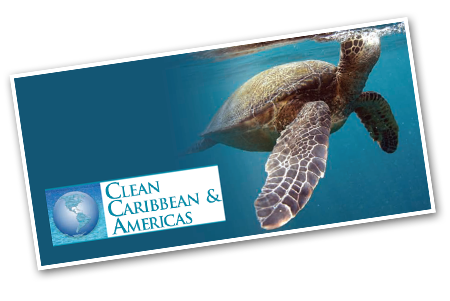 Founded in 1977, Clean Caribbean & Americas (CCA) is a Non-profit Oil Spill Preparedness & Response cooperative covering the Caribbean, North and South America. 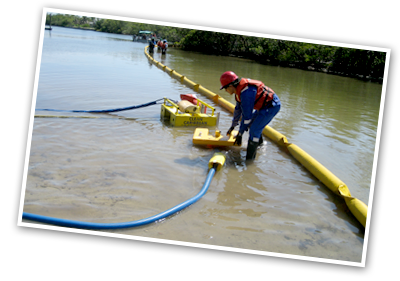 Funded principally by major international and regional oil company members, CCA maintains an inventory of air mobile oil spill response equipment in Fort Lauderdale, Florida, USA, in close proximity to two major international airports, and is capable of responding rapidly to a major oil spill anywhere in the region. For 35 years, CCA Members have collectively created an international oil spill response capability consisting of air mobile equipment, trained responders, logistics support, training and exercises, technical expertise, and a government liaison program to expedite response across international borders. CCA can support all recognized methods of combating marine oil spills, including dispersants, in-situ burning, offshore recovery, shoreline clean-up and even wildlife rehabilitation. 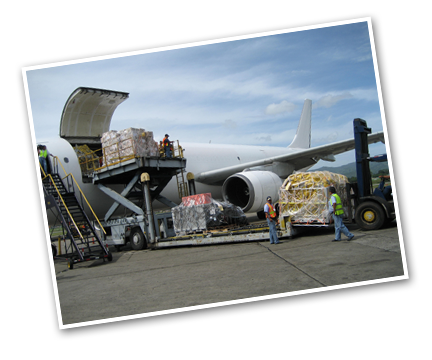 CCA equipment is designed and packaged for air transport in narrow body jet cargo aircraft (DC-8, B727, B757, etc.) capable of landing and unloading at a wide variety of national and regional airports. 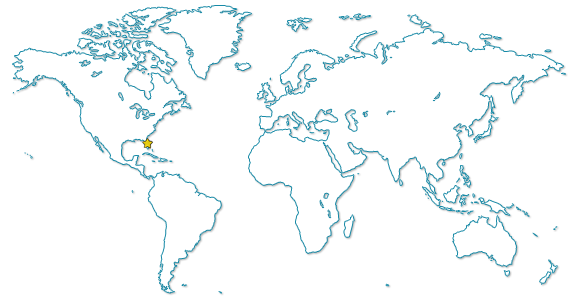 CCA is the principal response organization for the Caribbean and Latin America, and has been involved in promoting oil spill preparedness in nearly every country in the region. 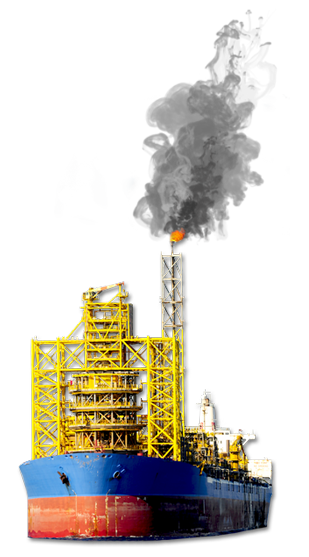 CCA was one of the primary responders providing airborne dispersant spraying services in the 2010 Deepwater Horizon oil spill in the Gulf of Mexico. We are a member of the Global Response Network (GRN) and our staff Technical Advisors are critical participants and contributors in a number of international oil industry and governmental forums and working groups promoting effective oil spill preparedness and response. Provide CCA petroleum and maritime industry Members immediately accessible emergency Preparedness and Response resources, services and support in order to minimize environmental impacts from oil spills and related incidents in the Caribbean and the Americas. BPZ Exploración & Producción S.L.R. The CCA equipment inventory consists of air mobile, multi-purpose, fully integrated, turnkey systems able to operate in a variety of environments (offshore, nearshore, onshore) and capable of recovering a wide range of petroleum products (Group II - Group V) in environments ranging from tropical to cold water. Included are spare parts and tools to support 1,000 hours of operation. To notify CCA of a spill or potential spill, call (954) 983-9880, Do not attempt to initiate activation via e-mail, fax, or the CCA website. During business hours, a CCA Technical Advisor will guide you through the protocol to ensure an efficient response. During non-business hours, your call will be handled the by the CCA answering service. Download our Activation Protocol document to further assistant your call. Airborne Dispersant Delivery System (ADDS-Pack), 30,000 gallons (113,500 liters) of COREXIT EC9500A dispersant, dispersant transfer systems, helicopter and vessel spray systems. Two In-situ burn systems, including fire resistant boom, leader boom, tow lines, bridles, and HeliTorch and floating igniter systems. Over 40,000 feet (12,000 meters) of offshore, nearshore, harbor, and shore sealing boom, pre-assembled anchor systems, lighted buoys, and tow assemblies. Skimming systems capable of recovering over 40,000 bbls/day per USCG capability calculation (6,400 m3/day) of Group II - Group V oils. Towable bladders, tanks, and pit liners support continuous skimming operations. Over 36 pump systems for product transfer, beach washing, oil herding and skimming. Telecommunications system capable of coordinating air, land and sea operations. Broadband Global Area Network (BGAN) mobile satellite service through stratos. System includes Thrane and Thrane Explorer satellite terminal, Dell D630 laptop, Iridium satellite phone and accessories. Internet connectivity from remote areas; supports up to 10 computers via ethernet or wifi conections. Ability to send e-mail and data. Voice communications via included analog phone. Wildlife Rehabilitation Center, steam pressure washers, 2 Beach Maintenance Vehicles (Bobcats), Utility Terrain Vehicles, a large inventory of sorbents, PPE support gear, Halogen emergency lights and portable generators. Air transportable containers, 36 air cargo pallets; compressors; stake truck, pick-up trucks; forklifts; chemical tank trailer and flatbed trailers. Small boats equipped with dispersant spray booms; provide working platforms for nearshore/shallow water operations, boom maintenance, and logistics support. Third Party Access to CCA equipment and services is not guaranteed and if approved is subject to Non-Member Rates. Access to all CCA equipment and services is subject to the Terms & Conditions contained in CCA's Sale Agreement and Lease Agreement. The following links have been provided to assist in finding useful spill tools that are available on the internet. Each of the respective agencies or companies retains all rights and permissions to the software. ADIOS, NOAA's oil weathering model. TAP, NOAA's contingency planning tool. Spill Tools, a set of three programs: the Mechanical Equipment Calculator, the In Situ Burn Calculator, and the Dispersant Mission Planner. Publications, a comprehensive list of our spill response reports, guides, and publications. FOSC Guide, describes the products and services that NOAA can provide to FOSCs (Federal On-Scene Coordinators). ERMA®, an online mapping tool used by emergency responders and decision-makers to visualize key environmental response data during disasters and oil spills and adapted to a variety of regions.